I’m thrilled to say that I’ve been able to prove that my great-great-great-grandfather won the famous Doggett’s Coat and Badge rowing race. It seems the rumour I started investigating in my last post is true! 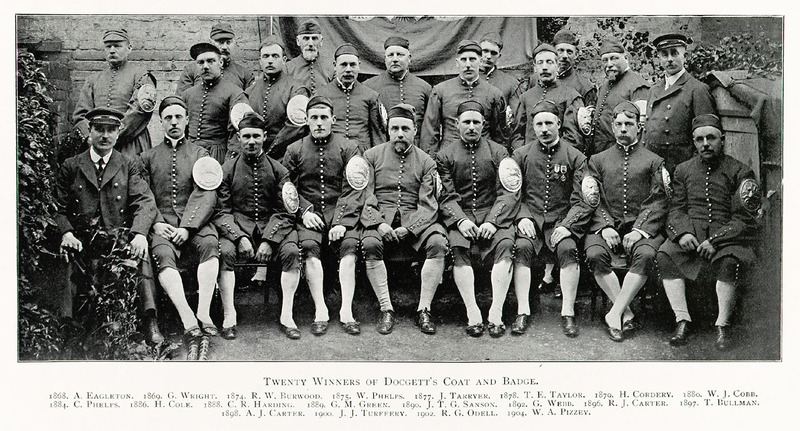 My cousin Lorraine sent me this photo of twenty winners of the Doggett’s Coat and Badge. While I’m not sure which man is which, the caption at the bottom states that a ‘T. E. Taylor’ is among the group and that he won the race in 1878. There’s also a collection of Thames Watermen & Lightermen records available online at Findmypast. These confirm that a Thomas Edward Taylor won the race in 1878. 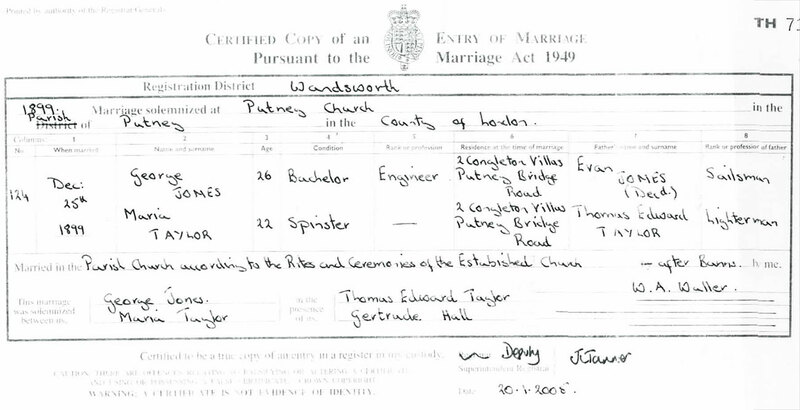 But a question remains: is this ‘my’ Thomas Edward Taylor? There are millions of historical newspaper pages available to search at The British Newspaper Archive. All of the words in the newspapers are searchable, so you can look for absolutely anything. I searched the collection for “Thomas Taylor” “Doggett Coat and Badge” and found the following article, published in Reynolds’s Newspaper in 1886. It describes an inquest into the death of an apprentice lighterman, who had ‘drowned in the River Thames, opposite the House of Commons’. Thomas Taylor witnessed the tragedy and gave evidence. The article stated that Taylor had ‘won the Doggett Coat and Badge in 1878’ and that his address was 13 Paradise Street. I already know that my great-great-great-grandfather had lived in Paradise Street, but not at that precise address. 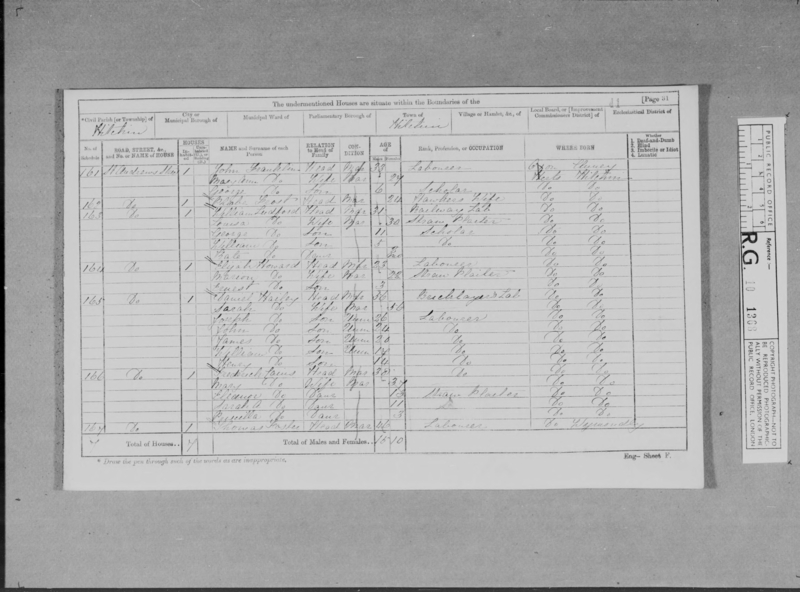 The 1891 census (included as part of my last post) placed him at 51 Paradise Street. Thomas Taylor’s daughter Eliza was five years old at the time of the 1891 census. I calculated that this meant she would have been born in about 1886, when the newspaper article above was printed. 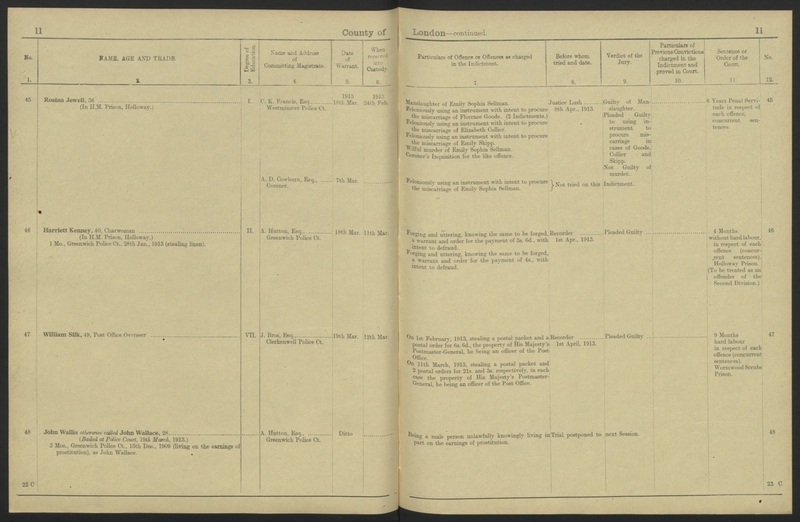 Using this information, I tracked down Eliza’s baptism record in the London parish records at Ancestry. You can see that her father was listed as being a Waterman and was residing at 13 Paradise Street. A perfect match! It’s fantastic to have been able to prove so conclusively that my great-great-great-grandfather did win the Doggett’s Coat and Badge race in 1878. I had a spare couple of hours the other weekend, so thought I’d put them to good use by visiting the Society of Genealogists for the first time. 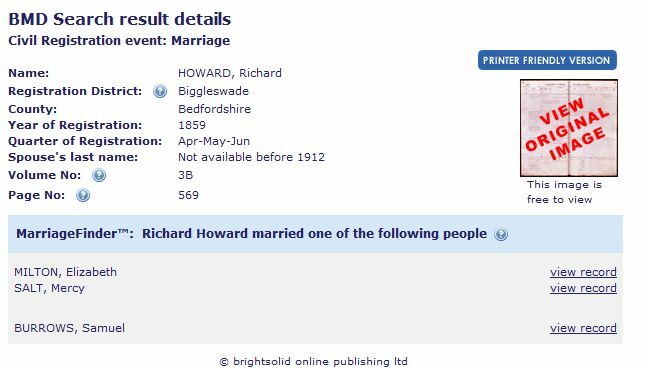 Having searched the library catalogue in advance, I knew they had microfiche copies of parish records from Campton, Bedfordshire. I’d learnt that my great-great-great-grandmother Sophia Stevens came from Campton a couple of years ago. Since that discovery, I’ve ordered Sophia’s birth certificate and found out that her unmarried mother’s name was Mary Stevens. 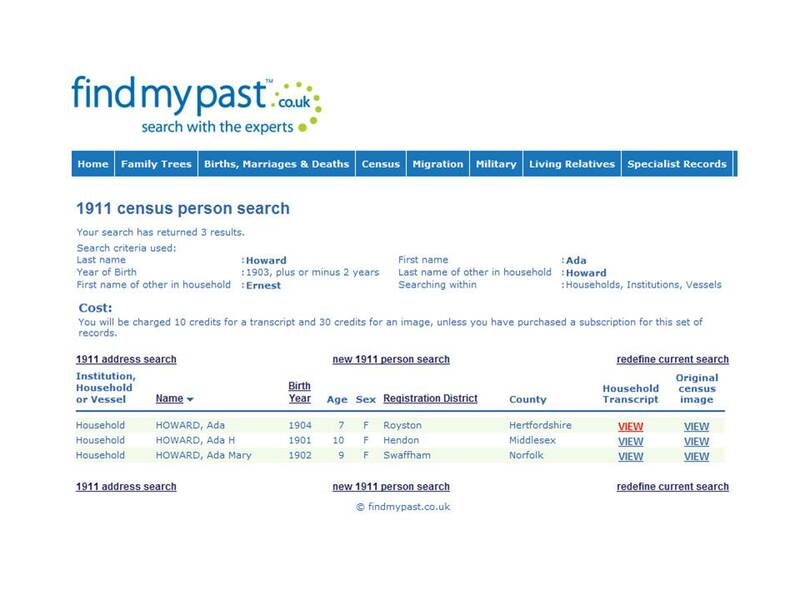 I’ve also found Sophia living with her mother and widowed grandmother in the 1851 census on findmypast. 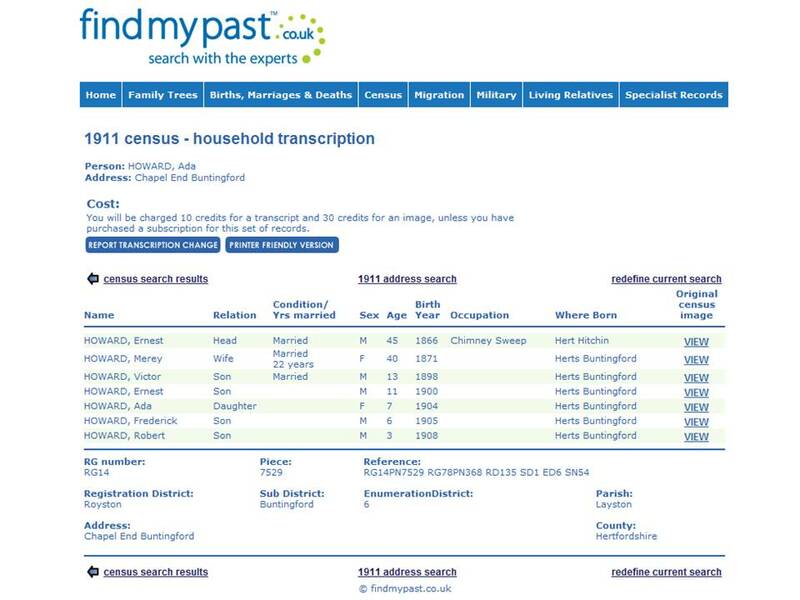 As you can see, Sophia’s grandmother was also called Mary and was recorded as being a pauper. Her mother, Mary Stevens, was a plaiter and had been born in Campton. 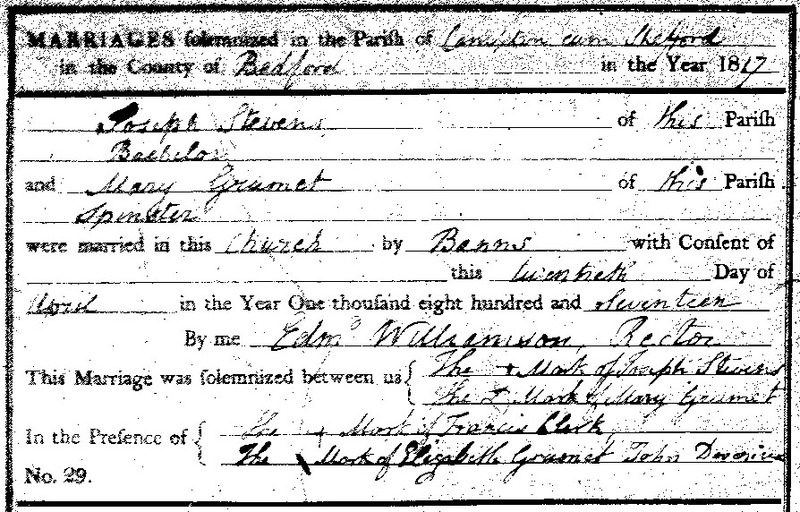 Sophia’s mother, my 4x great-grandmother, was baptised on 18 June 1820. Her parents were Joseph and Mary Stevens. 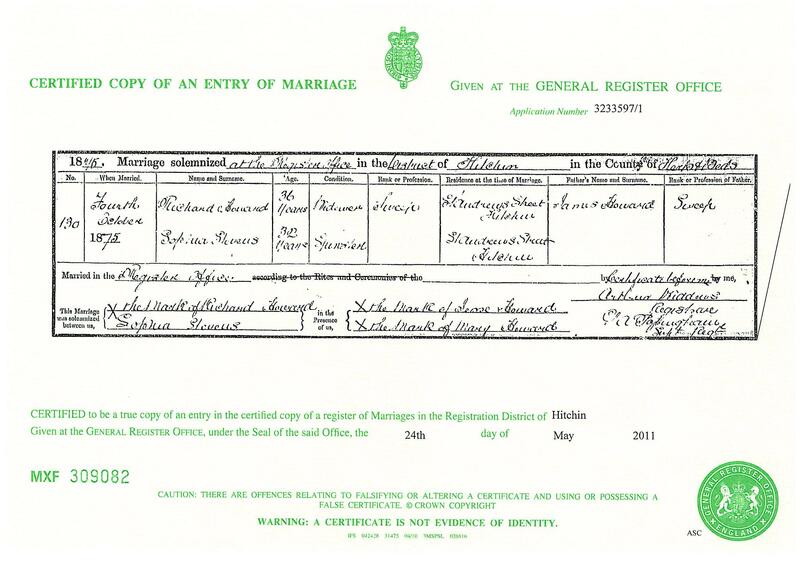 Sophia’s grandparents, my 5x great-grandparents, married on 20 April 1817. Mary’s maiden name was Grumet. 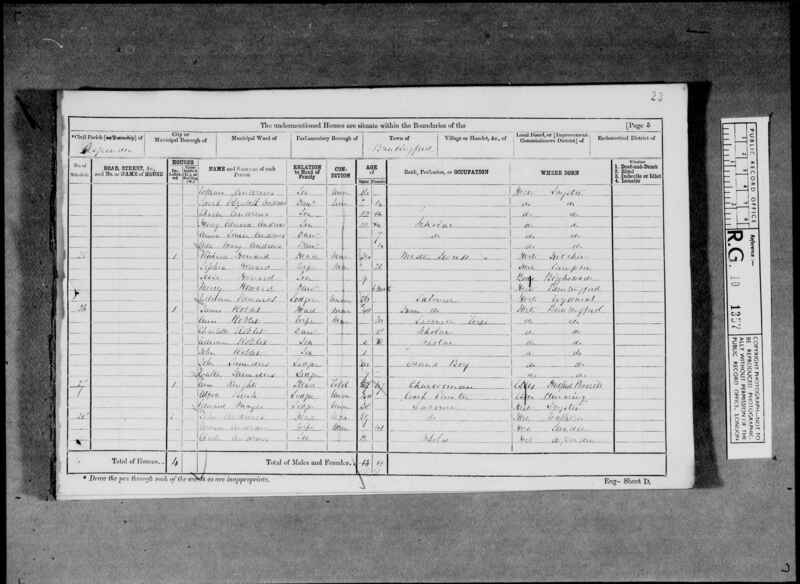 Interestingly, one of her sons is listed as having the middle name Grummit in the 1851 census record posted above. I just had to share this fantastic photo from my nan’s collection. It shows my great-grandfather John William Jones, his seven siblings and parents in about 1916. 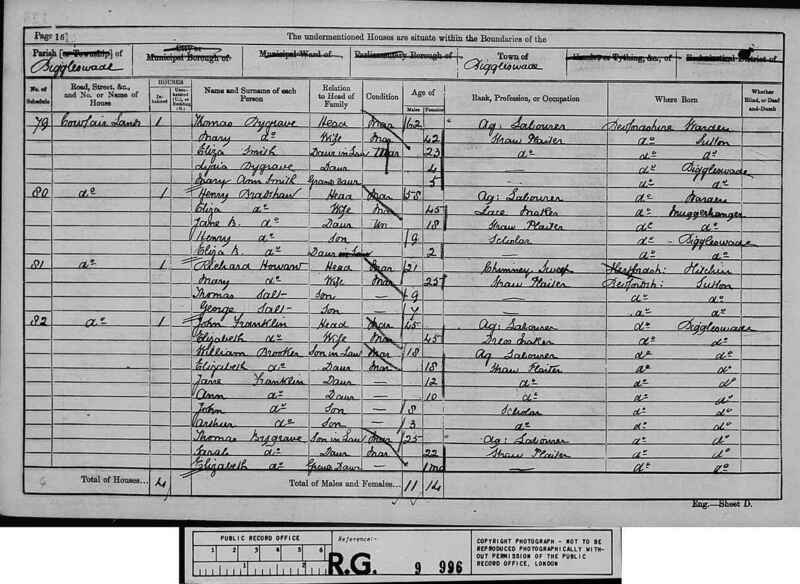 I’ve found the family in the 1911 census, minus Lilie, Harry and Ann who were not yet born. The family of seven were living in three rooms at 29 Pearman Street in Lambeth – quite a squeeze! 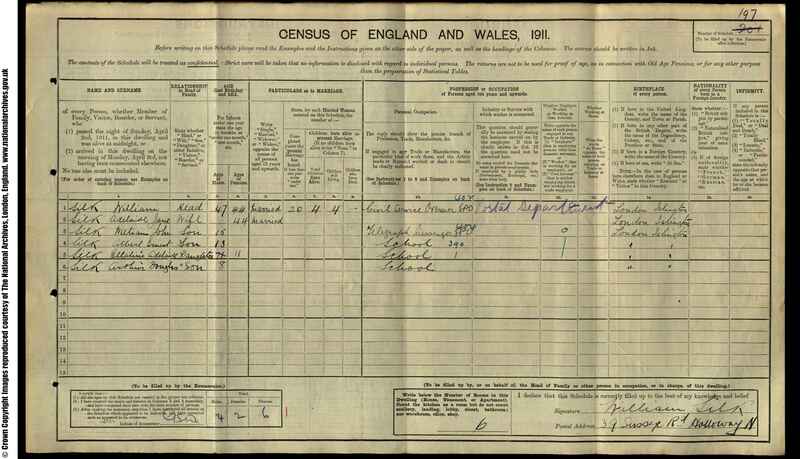 George Jones was employed as a House Painter and it seems Maria had given birth to one other child who had sadly died before the census was taken. There’s a bit of a family rumour surrounding my great-great-grandmother’s family – Maria Taylor’s father is thought to have won the Doggett’s Coat and Badge race, a rowing race along the River Thames. I’m looking forward to seeing if I can prove this for my nan. 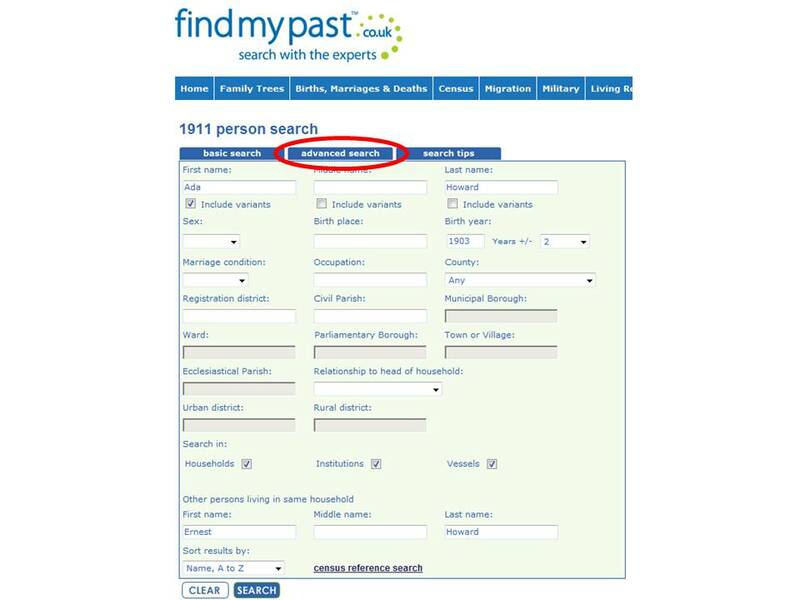 Findmypast.co.uk published half a million Crime, Prisons and Punishment records last week, in association with The National Archives. While testing the new records with a few of my family names, I discovered that my great-great-great-uncle William Silk was tried on 1 April 1913 at the Central Criminal Court in London – otherwise known as the Old Bailey. It tells me that William Silk was 49 years old and a Post Office Overseer. He was accused of stealing postal packets and postal orders to the value of £1. 10s. 6d., pleaded guilty and was sentenced to 18 months hard labour at Wormwood Scrubs Prison. William Silk was the older brother of my great-great-grandfather Charles Silk, who I know also worked for the Post Office. 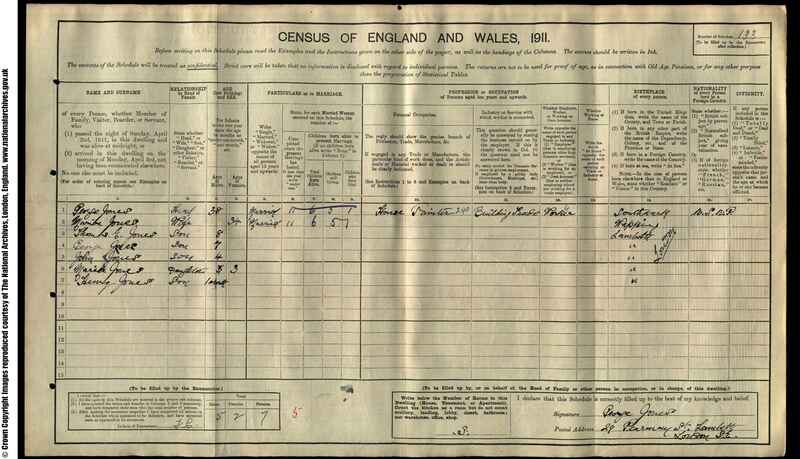 Charles was employed as a Sorter from when he started work in 1890 to when he retired in 1931, but census records reveal that William had progressed to being an Overseer by 1901. 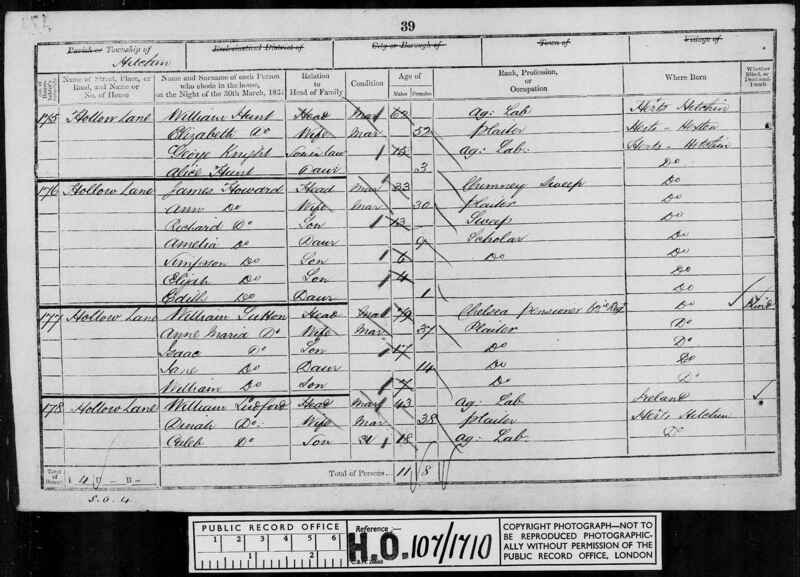 The 1911 census below was taken two years before William was sent to prison and shows him living with a wife and four children. I wonder how the family faired after William’s trial, and also whether it was this incident that affected Charles Silk’s progression at the Post Office.